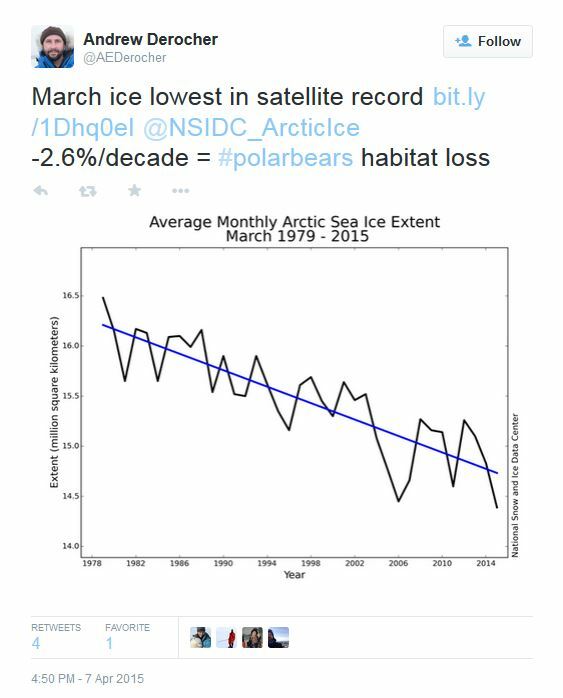 IUCN Polar Bear Specialist Group biologist Andrew Derocher has been saying this is a “huge loss for polar bears” (see below): rational analysis of the facts show it is not. 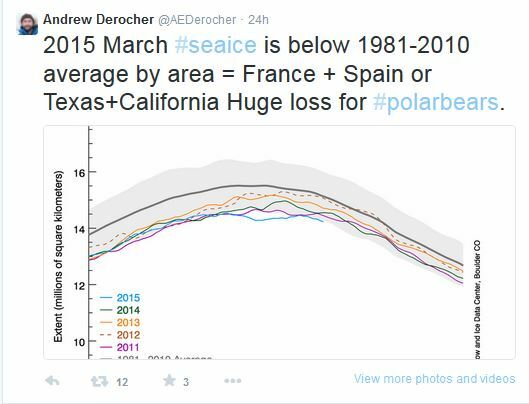 In fact, the area of polar bear habitat decline from average in March 2015 was about the size of Spain alone (~0.5 mkm2) and most of that was a predictable loss of Barents Sea ice, which has in recent years been strongly impacted by the negative state of the AMO. That’s meant a few challenges for Barents Sea polar bears but it’s nothing they haven’t experienced before and most bears seem to be adapting. 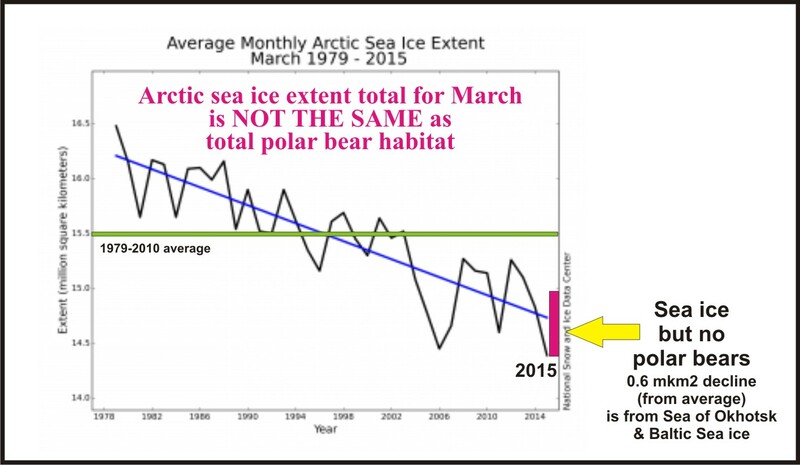 This entry was posted in Advocacy, Sea ice habitat and tagged activism, Baltic Sea, Barents Sea, Derocher, fearmongering, loss, maximum extent, misinformation, NSIDC, polar bear, record low, sea ice, Sea of Okhotsk, spring, spring ice. Bookmark the permalink.